As requested, the LEGO Verities took a break from the ballgame at Clutchers Field, and took a tour of the 12th Doctor’s TARDIS. Of course, Liz makes a beeline for the 12th Doctor. He looks thrilled. Deb takes the controls, naturally! Tansy and Lynne assist at the console as Erika dives in to fix something technical. Kat has a nice chat with her beloved Clara. That’s right, we’re talking about the TARDIS again! We discussed her villainous tendencies with Lynne and Tansy last year. 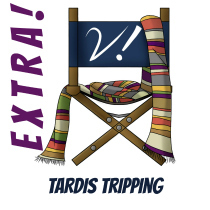 Now, join Deb, Erika, Katrina, and Liz as we fold the TARDIS into our Year of Companions. We discuss the evolution of the TARDIS on-screen and how the Doctor’s treatment of her varies by actor and era. What’s your favorite Doctor-TARDIS pairing? Do you have a favorite (least favorite?) moment between the Doctor and his “wife”? How do you feel about the blatant personification of the TARDIS in the new series? Let us know in the comments! And be sure to head over to our commentary-picking post to help us determine what wonderful Doctor Who goodness we’ll jabber all over! We’ve already hit our first informal Patreon goal of 120 supporters. We’ll do a second commentary at 125! 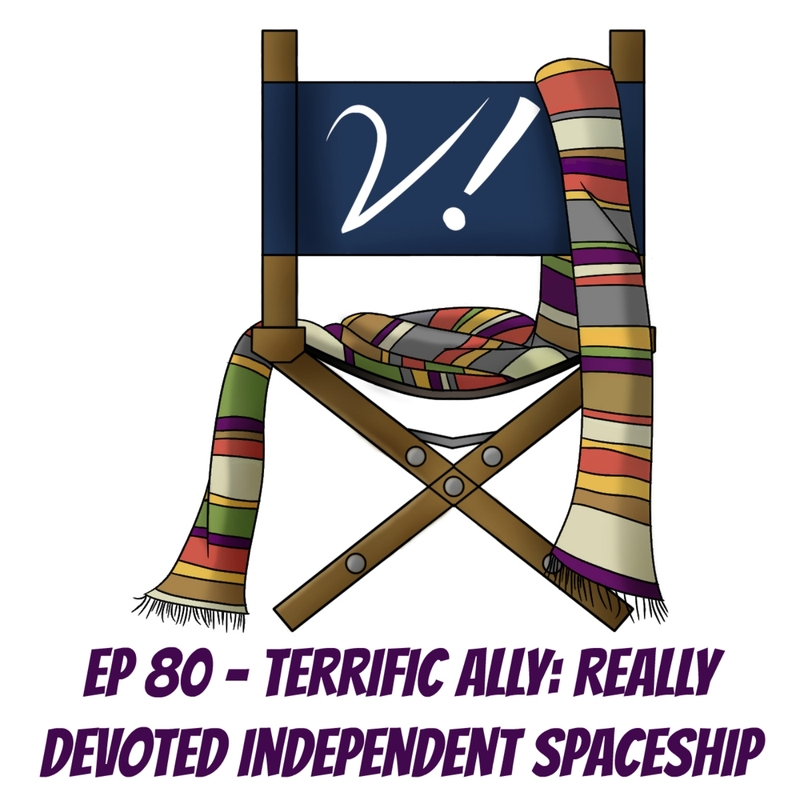 Liz swoons and squees over the Doctor Who Fan Show interview, in which Peter Capaldi displays his classic-Who fannishness! delights in the recently-released newsreel footage of Jon Pertwee’s first wedding! basks in the glow of having turned a DW fan on to Supernatural (and consequently, the joy of literally chasing Mark Sheppard around a con)! Erika watches her spouse practically explode with glee at the Doctor Who component of the upcoming LEGO Dimensions game! Deb warms her heart over an article on BlackGirlNerds.com about the TARDIS acting as a symbol of connection! This week we bring you episode 78–really! Pay no attention to Deb’s introduction. Erika isn’t the only one who makes mistakes! 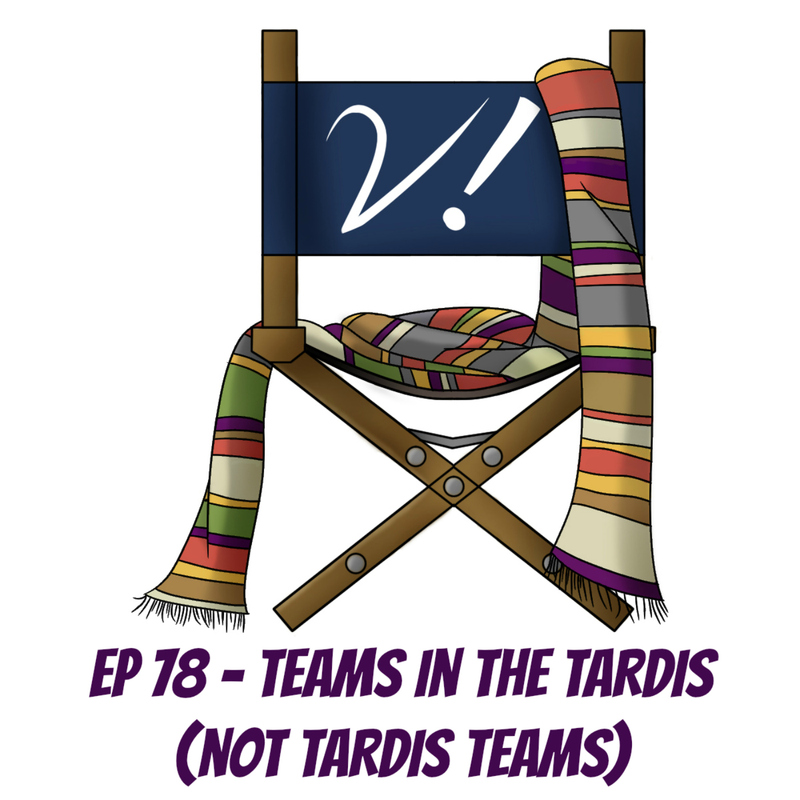 Join Deb, Erika, Liz, and Lynne as we talk about companion teams. First, we have to define that term and differentiate it from “TARDIS team”. Then we can get into the meat of the discussion–which companions work really really well together? Who can’t you think of without their counterpart? Let us know your favorite companion teams in the comments! Liz’s inner-8-year-old melts at the Companion Piece review in Doctor Who Magazine! Lynne can’t wait for Chicago TARDIS, now they’ve posted an early guest list! boggles that Doctor Who will have another Hall H panel at San Diego Comic-Con! enjoys the heck out of the Peter Harness-adapted Jonathan Strange and Mr. Norrell! fans over Bad Wolf Blerd! is happy about diverse fans monetizing their fandom! again highly recommends Toby Hadoke’s Who’s Round podcast! What other examples can you think of? Let us know in the comments. And let us know what you think of the TARDIS as a “baddie”! Tansy revels in a glut of Doctor Who Christmas ornaments, including a (missing) TARDIS! enjoyed the heck out of Chicago TARDIS! wishful-thinks Phil Ford might be the next Doctor Who showrunner! a Mechanoid (which doesn’t light cigarettes)! a “Silver Nemesis”-Ace WITH THE PORTRAIT! gives big kudos to Doctor Who: Legacy for including characters from the comics in their advent calendar! excitedly awaits Doctor Who novel re-releases, including Paul Cornell’s Human Nature! Welcome to a squeeful episode of Verity! We loved this episode, and we’re not afraid to show it! Join Deb, Erika, Liz, and Tansy as we pick this one apart–in a(n almost entirely) good way! Liz manages to come up with some complaints, but they’re almost all laughably minor. Mostly we spend time talking about Clara and the Doctor. And what could be better, really? What did you think of “Flatline”? Let us know in the comments! gets excited over Verity!-inspired fanfic by PharaohKatt! welcomes the new audio series Night Terrace to the world, and encourages you to check it out! pretends her Doctor Who Yahtzee is now an actual-size TARDIS! congratulates Long Island Doctor Who for selling out their weekend and Saturday-only passes! Liz watches lots of Hinchcliffe-era Who, including “The Seeds of Doom“! Deb boggles at the number of Doctor Who-themed pumpkin templates! Where would you take the TARDIS if you had one trip? Let us know in the comments!